You probably didn’t give too much thought to those hanging flowers you bought at Lowe’s or another big-box store for $10 or $12. But someone did, and it’s very likely that someone was involved at a massive greenhouse and distribution operation in the north-central Kentucky city of Paris, or its second facility in Granville, Illinois. A lot had to happen before those flowers arrived on a shelf at an affordable price. And there was very little margin for error. As Adam VanWingerden, the ever-sunny director of sales and merchandising for the nation’s eighth largest greenhouse, ColorPoint, explains, a year before you bought those flowers, forecasting was underway to determine the metrics of supply and demand of a product that can be either cautiously durable or very perishable depending on conditions. But with the odds improved through a myriad of hi-tech practices, the planting took place in stages, with a slew of conservatory measures. Bails of peat moss arrived from Canada. Plastic containers, tags and hangers were procured in ample supply, small plugs were transplanted into the pots and ceramics you see at the stores, and the logistics were readied for transportation. Only, as is the case with any delicate cargo—be it food, flora or fauna—most of the delivery trucks had to be outfitted with reliable climate control. “The margin for error throughout the production and growing process is small, while the implications for the crops can be large,” cautions VanWingerden, son and nephew of ColorPoint’s co-founders Ken and Art VanWingerden, respectively. That you were able to buy that plant and it’s doing well, attests to the fact that ColorPoint did not err along the way. The Dutch are known to have green thumbs, coming from a land that prides itself on tulips, and it was Adam’s grandfather, Aart VanWingerden, who emigrated from the Netherlands in 1948 with his wife Cora, and in a sense, planted the seeds for ColorPoint by establishing the first of his many greenhouses in New Jersey. They shared their passions for horticulture and social responsibility with their 16 children—12 boys and four girls. 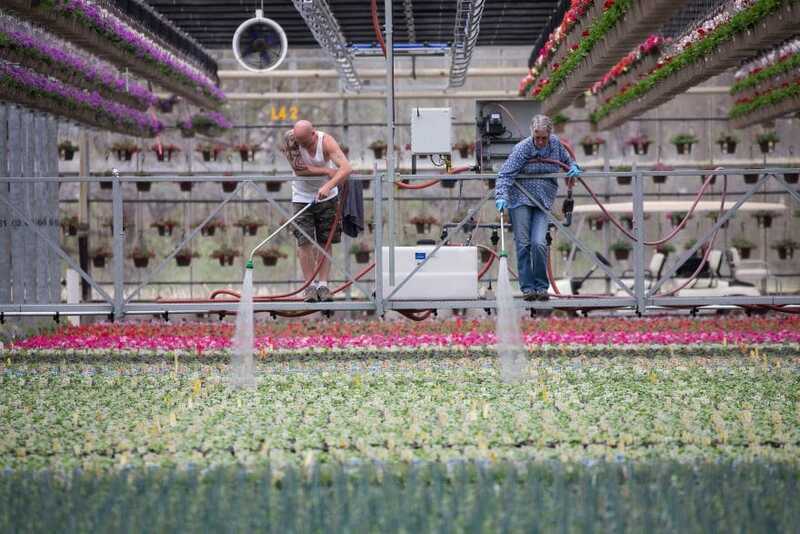 The younger VanWingerdens learned the nuances of production flower growing on the job, and two of the sons took it to a new level by coming to Kentucky’s rolling hills and breaking ground for ColorPoint in 2000. Literally and figuratively, their company has grown organically and inorganically to be one of North America’s dominant greenhouse operations. 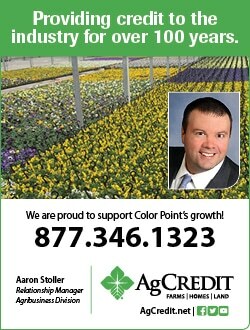 Its sales capacity doubled with the 2014 purchase of Mid-American Growers in Illinois. Primarily active in the Midwest and Southeast, ColorPoint stocks over 1,500 items for more than 1,750 retail locations, Lowe’s being the biggest. Other national retail clients include Walmart, Aldi, Whole Foods and Sam’s Club. 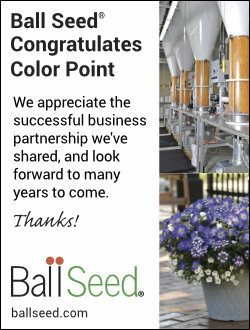 With its operations in Kentucky and Illinois, ColorPoint boasts over 115 acres and 5 million-plus square feet of indoor space where the growers have the processes down to the most precise science. Other greenhouses give lip service to demand-driven forecasting, Adam says. At ColorPoint, the staff interacts with its national retailers for precise estimates of what a region’s customers will be looking for. Hard data is calculated and repeatedly recalculated for insight into each growing season. 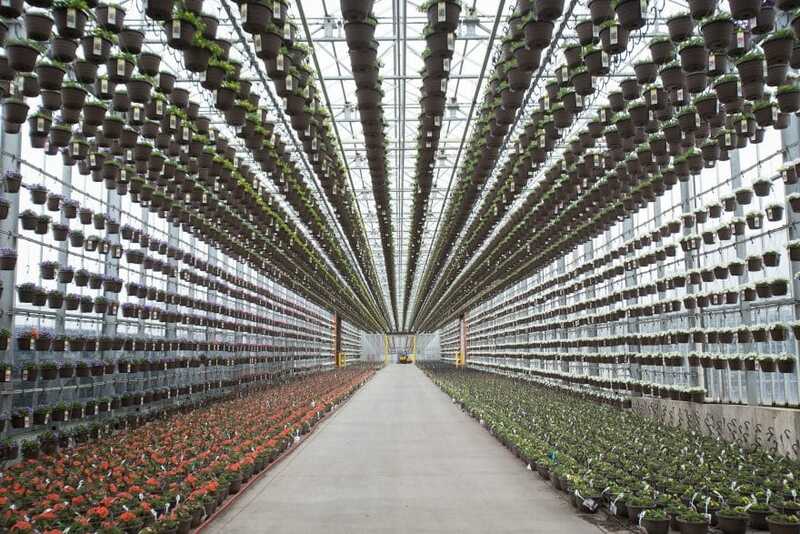 Those retail-ready plants and flowers are tracked on carts with radio frequency identification (RFID) that ensures prompt delivery, since the less time the products sit in a truck, the longer-lasting they will be. Further assurances come from software that controls all facets of replenishment and allows greenhouse supervisors and staffers to spend more time with customers and less time at their computers. That extends into water usage. Plants in over 5 million square feet of greenhouse consume thousands of gallons daily, but ColorPoint keeps the watering self-sustaining through a roofing system that collects rain, and uses other innovative, not to mention cost-effective, measures, as well. The eldest VanWingerden never got such an admonishment from his maker, and neither have the succeeding generations. Aart and Cora used their business and agricultural savvy to found Double Harvest (www.doubleharvest.org), which partners with indigenous people worldwide, to start sustainable, productive farming enterprises using modern and green technologies. ColorPoint has sustained that mission through financial and hands-on assistance, and among the success stories is Double Harvest Haiti, a 200-acre mission with a 500-student school, a medical and surgical clinic, church, tilapia (fish) and chicken farms, and, of course, a greenhouse. Closer to home, Adam sees ColorPoint serving a more subtle public good. There might be some irony in those lush plants and flowers coming from Illinois with its rough winters or from Kentucky, a state best known for distilleries and thoroughbreds. Indeed the ColorPoint headquarters is in aptly-named Bourbon County, and at a horse farm not too far away, American Pharoah has settled into a happy post-racing career of tending to mares. But the rich limestone that makes groundwater bourbon-friendly and sprouts the bluegrass that inspires the world’s best string bands, isn’t very flower-friendly. 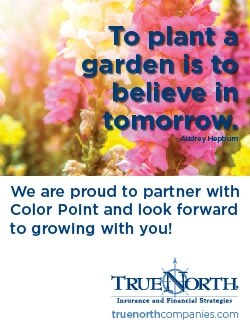 At least not for what ColorPoint grows. In fact, other than sunshine and ample rain, Adam says Kentucky’s elements don’t really lend themselves to this kind of heavyweight horticulture. Illinois presents its own challenges. 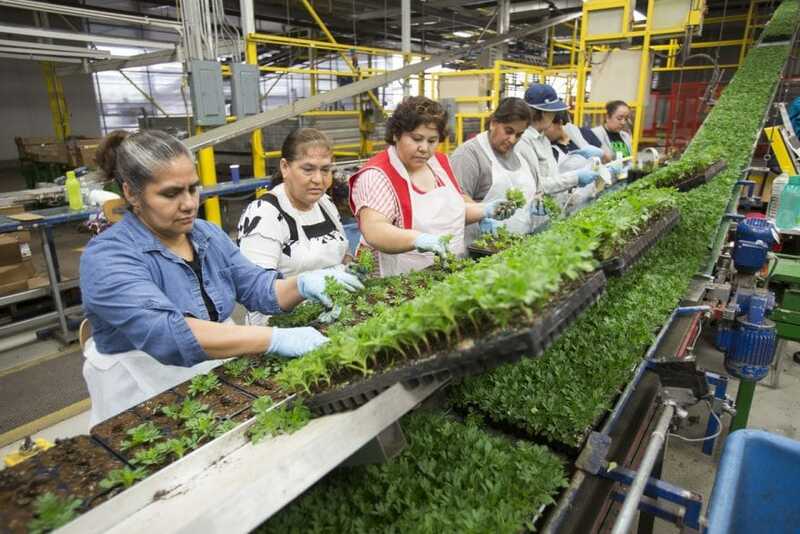 It takes a green thumb and hi-tech—and maybe some faith in other areas—to sustain this enclosed Garden of Eden that employs 700 in peak season, brings in $75 million in annual revenue and, like the hardiest perennial flower, just keeps on growing.